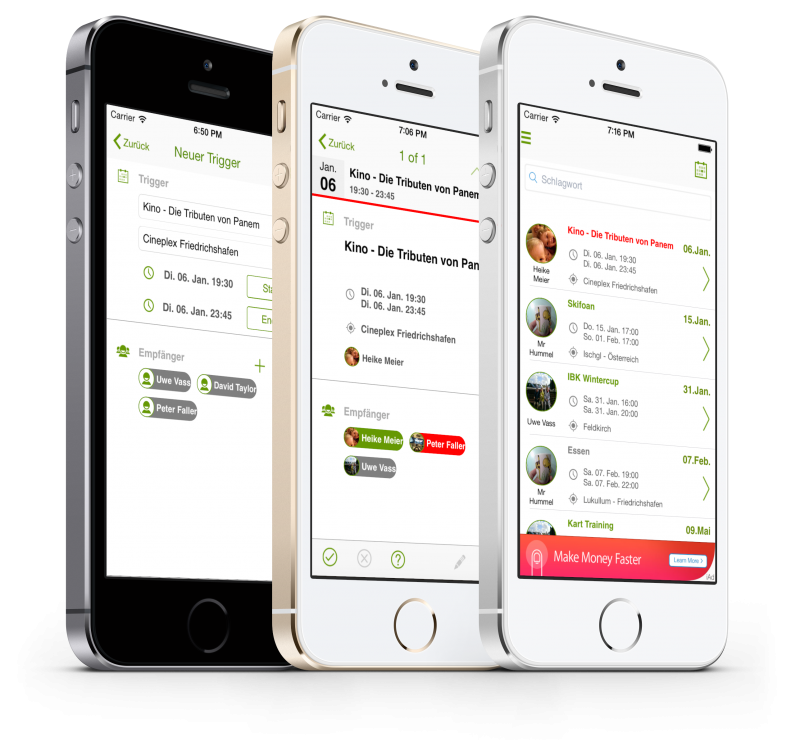 With the help of the triggerYoo App you can plan or organize meetings, events, parties with your friends, colleagues or family. Therefor you create a Trigger with description, time and location and select the contacts you want to trigger from your smartphone phone book. Your contacts have already installed and registered at triggerYoo? Then they will be informed immediately. Otherwise they get an SMS with all the information. The SMS is for free. Your triggered contacts can accept, decline or tentative the Trigger. The response will be immediately sent to the orignator of the Trigger.